OCDesignsonline loves working with clients that know exactly what they want, especially when that client is set on having a matching listing template — which is something we always recommend to clients that want to capitalize on the best performance possible from their eBay stores. 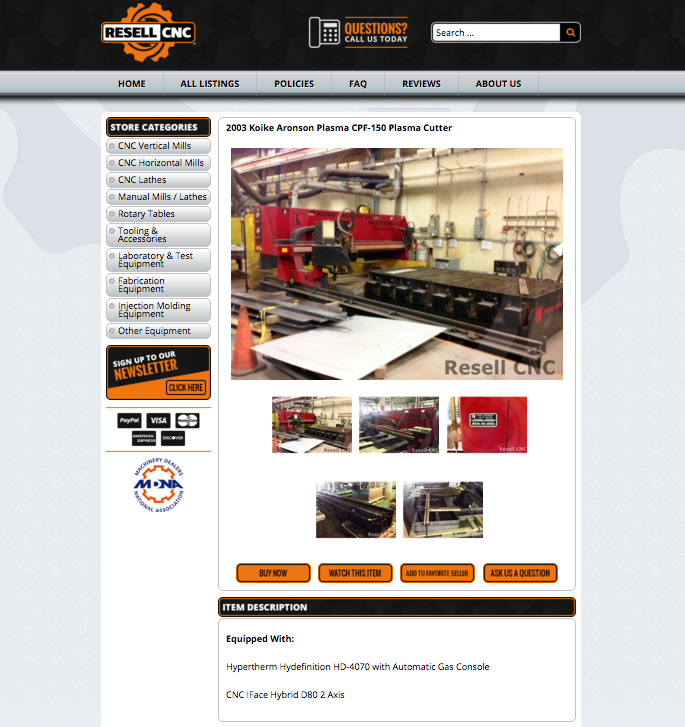 Today we are sharing with you some of the thoughts behind the recent design package we created for Resell CNC, a company that was ranked #108th fastest growing company in the United States by Inc. Magazine. Resell CNC wanted both a store design and a matching template, which we were more than happy to provide as that is the best way to maximize sales from a store. 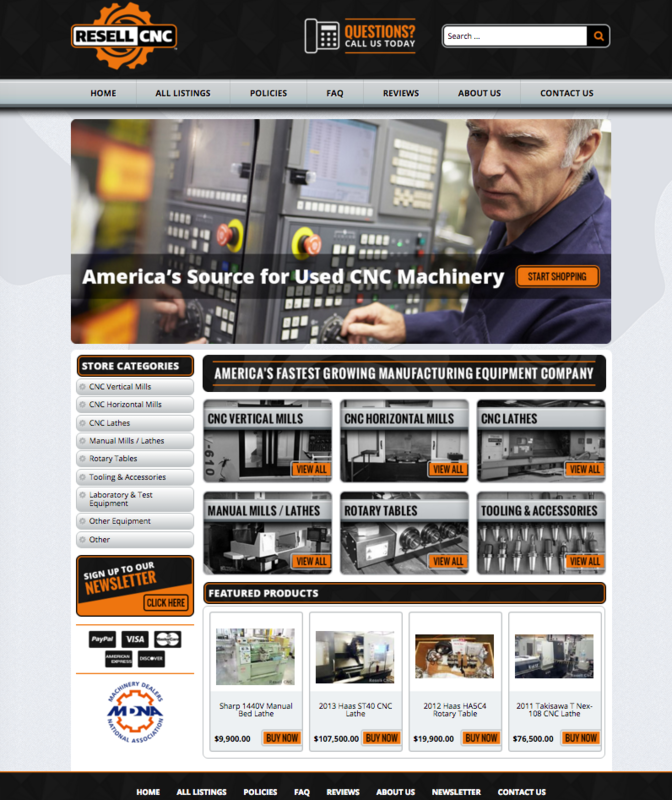 This grey, orange, and black design works really well for our machinery based client, with many clickable calls to actions visible to encourage customers. The logo we created for the brand mimics the look of a toggle, which is reminiscent of the parts being sold from our client. The Featured Products area is also a big part of this design, working to help encourage more clicks and relevant indexed keywords for our client. Custom listing templates that match the storefront in question always yields more sales for our customers because then potential customers that find our client from eBay or Google Shopping search will see a fully functioning and professional store that will respect their patronage. eBay templates also encourage customers to click away into the full storefront of the store, helping our client incur more sales from customers that get drawn into more of the valuable products available. In this template, we made sure to have buttons that emphasized the different capabilities available on eBay, like creating a watch for an item or adding a store to favorites. These little features help our client incur more long-term customers. If you want your store to sell more with the use of a matching eBay store and listing description template, you need to contact us right away and request your free quote. OCDesignsonline has a wide array of eBay listing templates to choose from on the site. Take a moment to browse our portfolio and request a free quote. Also, don’t forget to find us on Facebook, follow us on Twitter and check out our Google+ Page too!